Julian Schmugge (left) and Matt Lala provided the offense as No 2 Loyola downed arch-rival Calvert Hall in the MIAA A Conference soccer opener for both teams. Old rivals, each looking to get off to a strong start in MIAA A Conference league play, met on the soccer pitch at Calvert Hall, Monday afternoon, as No. 2 Loyola paid a visit to the 7th-ranked Cardinals. Each side had their moments in a contest that was played in a constant mist. Despite slick field and ball conditions, the visiting Dons had the better of play for the majority afternoon and it was Loyola that was able to convert a pair of opportunities to pull out a 2-0 victory. The Dons capitalized on some tight passing and excellent spacing to break on top with goal by junior Julian Schmugge, at the 34:19 mark of the first half. Schmugge, with his back to the goal, settled a cross from senior Matt Lala, turned and flipped a 20-yard shot, which was slightly deflected, into the top right corner for a 1-0 lead. “Matt crossed it to me and I just opened up with my left, took a deflection, and it went upper 90,” said Schmugge. The Dons (2-0, 1-0 MIAA A) maintained their pressure and nearly added a second goal in the opening half when senior John Peterson got a one-on-one situation, on the right side, and struck a rocket that was stopped with a diving, sprawling save by Calvert Hall goalkeeper Spencer Nattans. It was a recurring theme as Nattans had an outstanding effort, stopping 10 shots including four of spectacular variety. His play, in large part, got the Cardinals to the half still within one goal. The Cardinals then turned in their best stretch of play over the first 28 minutes. Calvert Hall (2-1, 1-1 MIAA A) began to mount pressure on the Loyola goal and nearly got an equalizer in the 13th minute of the second half. Luke Ferrarese got beyond the defense as he chased down a through ball on the right side. Ferrarese appeared to have an age as he unloaded a blast cross goal, but Loyola keeper Pat Milmoe snagged the ball with an all-out dive. It was just one of two saves Milmoe was called on to make in the shutout, but the Cardinals did create several other opportunities. Most notable among them was a cross, from the left side by Dylan Burruss, with less than 23 minutes to play. Two Cardinals tried to run onto it, but Ben Bender could not quite reach it near post and it also eluded Sean Barwick at the far post. The ball had such pace it also was beyond the diving grasp of Milmoe as it passed through the center of the box. The momentum Calvert Hall was creating came to a screeching halt, however, with 16:55 to play. Following a corner by the Dons, a loose ball found its way to Lala near the left post and he convert a shot to give Loyola its second goal. Calvert Hall coach Rich Zinkand pointed to his team’s slow start as a factor in the loss. Considering the conditions and that the Dons have not played a game in more than a week, Loyola coach Lee Tschantret was pleased with the performance. Pictured above: Loyola’s Cole Hendric dribbles against the Calvert Hall defense during the first half of Monday’s rivalry title between the Dons and Cardinals. GOALS: LOY-Julian Schmugge, Matt Lala. 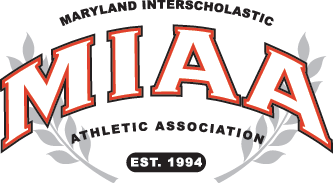 SAVES: LOY-Pat Milmoe 2; CHC-Spencer Nattans 10.
Who will win AACS hoops crown?